Jury Duty is important because it is your constitutional duty. You not only vote on the facts you vote on the law- you vote with your conscious. This is called Jury Nullification- this is your ability to vote not guilty on unjust laws. 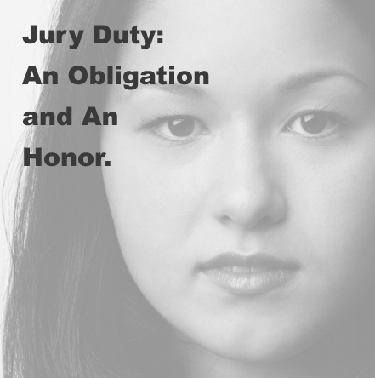 You are protected by Jury Immunity meaning you can't be punished for your verdict. No- this mean you may not get your summons to serve on Jury Duty if you are not a registered voter. Why? How are potential jurors picked? There are no educational or skill requirements. Juries are made up of people from all walks of life; they are supposed to reflect the community. Jurors are asked to remain impartial during the trial, weigh the evidence presented to them, apply the applicable law and attempt to reach a verdict. Formed an opinion about the case. ** This means you cannabis activist will be asked if you can convict someone for a cannabis crime. Don't think to hard about this question, don't lie, just limit your responses- stick to yes or no. Less is better. This process is also called voir dire. A panel of prospective jurors is randomly selected, sent to a courtroom and given an oath to tell the truth. Once you become a juror- sit patiently through the whole case. Don't mention Jury Nullification or Jury Immunity. Don't get caught up in the prosecutor making claims about making millions of dollars, or plant count in the thousands, or 5 pounds of cannabis, or the fire-arms we are legally allowed to have under our constitution, don't fall for the money laundering, conspiracy, trafficking, or manufacturing charges you are going to hear. Remember, that everyone in the court-room including you except for ONE person is being paid- that is the defendant. Remember always, that he/she is innocent and has to be proven guilty by the prosecution- they have the burden of proof. Ultimately, remember that NO-ONE BELONGS IN JAIL FOR A PLANT. Genesis 1:29-31 (In the Bible) And Elohim (“God”) said, "Behold, I have given to you Every Herb seeding seed which is on the face of all the earth, and every tree in which is the fruit of a tree seeding seed- it shall be food for you! And to every living thing of the earth, and to every bird of the heavens, and to every creeper on the earth, in which is a living soul, every green herb is for food!!! And it was so. And Elohim saw everything that He had made; and behold it was very good! And there was evening, and there was morning- the sixth day.